We want to provide you with a guide to answer some of your questions regarding ADHD. The purpose of this article is not for you to "self diagnose" your child, but rather we have compiled some useful articles to help guide your treatment options. Assessing for ADHD by a counselor, psychologist, or pediatrician is helpful because assessments organize symptoms by narrowing down behaviors and emotions. It is also important to leave diagnosing for ADHD to a professional to rule out other causes of symptoms due to medical/health concerns, anxiety, sensory processing, learning disability etc. The importance of assessing for ADHD is not to obtain a diagnosis or label, but rather to know what path to guide treatment. You are welcome to call The Playroom Lubbock and speak to our children's counselor/therapist, Kelly Martin, about assessing for ADHD. Often times our children's counselor and play therapist, Kelly Martin, will use parents in the playroom with their child. The purpose of this is to improve connectivity, to enhance the parent child relationship, to increase trust and security, and to increase a level of mutual enjoyment of each other. Through this unique play time with a parent, the child will feel accepted and understood. Through play, the child will have the opportunity to release tension, feelings, and burdens. How a child feels about himself will make a significant difference in behavior. The main task for the parent during the play session is to see and experience the child's play through the child's eyes. The parent communicates this understanding through an attitude of being present and by verbally describing the play and reflecting the child's feelings. I am here. I see you. I understand. I care. 1. Tracking play: Watch and track your child's activity, expressions, and intentions. Describe out loud what you see so that your child perceives your undivided attention, your child learns words for their actions and feelings, and you learn about your child's play. It may sound something like this: "Oh I see you're filling that up with sand. You laughed when that one spilled out. You are going back to that toy. It seems like you are comparing the two." Notice how the toys were not labeled by the name we know. Allow your child to use and name toys as they perceive them to be. 2. Following Their Lead: Allow your child to decide what and how to play. Do not ask leading questions. Allow your child to be creative. This gives your child a feeling of having control and fosters creativity. 3. Reflecting Feeling: Notice how your child is feeling and verbally tell them what you notice. This helps your child learn words for feelings, it increases their self-awareness, and it shows them you are paying attention. It may sound something like: "You were surprised to find that in there." "You are feeling frustrated getting that open." "You seem to really be having fun." 4. Allowing Mastery of Skills: Don't do for a child what he can do for himself. It's so easy to jump in and assist with a task or to initiate an activity. Wait for your child to ask you to help with a difficult task, but be careful not to completely do the task for them. This sends a message that you are confident in your child's abilities and are supportive of their learning new skills. It helps build self-esteem. 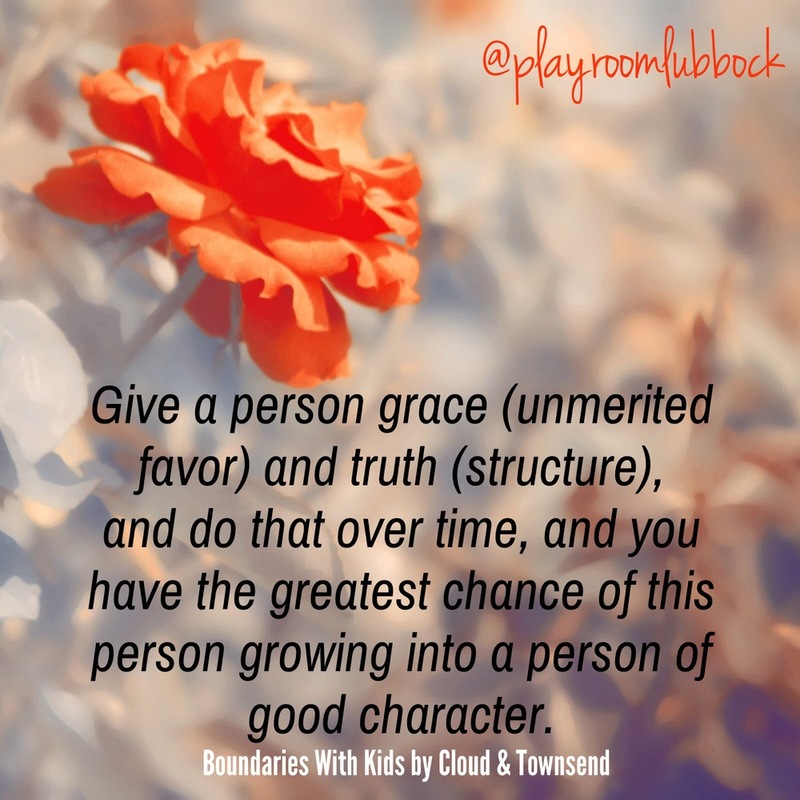 Using parents in the playroom is an important piece to a child's progress. As the parent observes the counselor and learns these special play techniques, the parent can begin using them at home for special play times. This article gives educators a brief overview of the strategies adapted from the book, How to Talk so Kids will Listen and How to Listen so Kids will Talk by Faber and Mazlish and listed in their article "How to Talk So Students Listen and Listen so Students Talk." Hopefully these strategies will encourage cooperation and foster a healthy emotional climate for learning. Try some of them on and see which ones fit! Kids are more likely to hear what we have to say after we first acknowledge their feelings instead of ignoring or denying them. Instead of saying, "That's nonsense...You just need to study." Try responding and respecting his/her feeling which will lead to a discussion of the problem and a possible resolution. "Something about that word problem is frustrating you." "Oh, you sound angry at Michael. He did something that upset you." Using a nonjudgmental tone, describe the problem instead of accusing/commanding. Instead of "How many times do I have to remind you to raise your hand?" Try: "I hear an answer, but I don't see a hand." Instead of "You forgot to answer the last question. Do it now." Try: You've almost finished your assignment. I see some more left to go." Make statements brief and impersonal instead of scolding, accusing, or threatening. Try: "Rulers are not for poking people. Rulers are for measuring." OR "When you do that, it could break." Many times you can offer a choice to the manner of their learning to give students more control over their learning process. For example: "You can choose to work on your vocabulary now or at the end of this assignment." Instead of lengthy reminders, say it in a word. Instead of "How many times do I have to tell you to not put your foot in the aisle? Do you want someone to trip and get hurt?" Try: "Sara, your foot." Give your students a shot of encouragement by noticing their effort and describing it. For example, if a student asks "Was I good today?" Instead of responding with "Very good!" try responding with "You helped clean up your desk after the science project and you had some interesting thoughts during our class discussion." Afford yourself the relief of being genuine. You can model a way to be angry without being hurtful. Instead of attacking: "What is wrong with this class? Why does it take forever to....how do you expect to learn if...." Try: "I feel impatient when we don't get to work promptly. I would like to see all notebooks opened and everyone ready to begin when the bell rings." Pass a note or send a note home to communicate a concern, reminder, or a care. Conduct a class meeting. Gather information about how the students are feeling about a particular issue and possible solutions. Come up with some ground rules they could all agree upon. Hopefully some of these quick strategies will increase respect and cooperation in the classroom. Thank you educators for being attuned and committed to all of your students' needs. How does the counselor involve parents? Parents are a vital piece to the child's process in play therapy. Here at the Playroom Lubbock, the parents and I work alongside each other during the course of treatment. I usually tell parents when I first meet with them that when they sign their child up for play therapy, they are also signing themselves up for a form of counseling or treatment as well. Vulnerability and personal growth for the parents is just as important to the child's therapy process as is the child's play "work" in the therapy playroom. One of my favorite authors and speakers, Bob Goff, recently provided this anecdote. One of his favorite things about visiting England was the red double decker buses. When he first saw one he was so excited that he took a picture of it. (See red picture). He was so close to it he lost sight of what it really was. Sometimes we need to back up our perspective so that we can see the whole picture. This is what the process is like for parents. I walk along side them in this process, backing up to see the whole picture, gaining insight, adjusting perspectives. To help ease your concerns or perhaps fears of your role in the process, I will outline below how I involve parents. 1. Initial parent consultation session. This is the very first session with the counselor, but without the child. It lasts an hour. We will discuss history, concerns, and what progress you would like to see made with your child. I will also explain the therapy process as well as my practice policies and your privacy. 2. Follow up parent consultation session. These typically occur after every 3 sessions that I see your child. Before the session I will send a confidential electronic Parent Report Form where you have the opportunity to rate the stress level, rate the overall progress level, state what changes have occurred in the child's life, and voice concerns or questions you still have. During the parent consultation meetings you, the parent, will have the opportunity to discuss changes, progress, and concerns. Positives: I will give you positive feedback regarding your child's behavior, emotions, or progress of therapy. Themes: I will loosely discuss play themes that I have observed over the last few sessions. Play themes are dominant or recurring themes within a child's play. I observe a child's feelings during play, intensity of play, the child's level of including the counselor, a child's level of connectedness, self control, problem solving capabilities, etc. As discussed in the initial Parent Consultation and in your Informed Consent forms, I remind parents of the value of the therapeutic relationship and the trust that develops between the child and me. I will only talk about a child's play to parents in vague terms, not giving many details or specifics. I ask that parents trust that I will communicate to them any "red flags" or concerns that I have regarding the child. Goals: Based upon parent/school feedback, parents concerns, my observances in the playroom, and the play therapy process, I communicate goals or areas that I would like to see improvements in your child's behavior, emotions, self concept, etc..
Strategies: We will discuss strategies for you to use at home to facilitate and support the goals. These strategies may be in the form of suggesting a book to read or may be more direct suggestions of ways of responding or interacting with your child. I value the parent child relationship and fully acknowledge that the parent is more of an expert regarding his child than I am. Many times parents will ask me, "Why is that? or What does that mean?" Many times there could be a biological, neurological, psychological, or developmental explanation. Other times, I may not know "why." And I will never pretend to know "why." Sometimes the answer is "I do not know. Let's trust the process." First and foremost I want to communicate to both the parent and the child: I am here. I hear you. I understand. I care. Relationship is the vehicle for change. Learn to communicate, creatively think, express emotion. If a child or teenager has difficulty or may develop a difficulty with any of the above AND it is beginning to cause stress within the family or negatively affect the child's functioning at home, at school, at work, or in the community, then it is worth calling The Playroom Lubbock for a phone consultation to see if our services are appropriate for your needs. The more important question as a helping professional is, "What are the ideal conditions for change?" As a child-centered play therapist, I believe the child, through play therapy, comes to form an appropriate understanding of his world and of himself. I help the parents understand their child's world through collaboration with them. Of utmost importance is the quality of the relationship between the client and therapist. 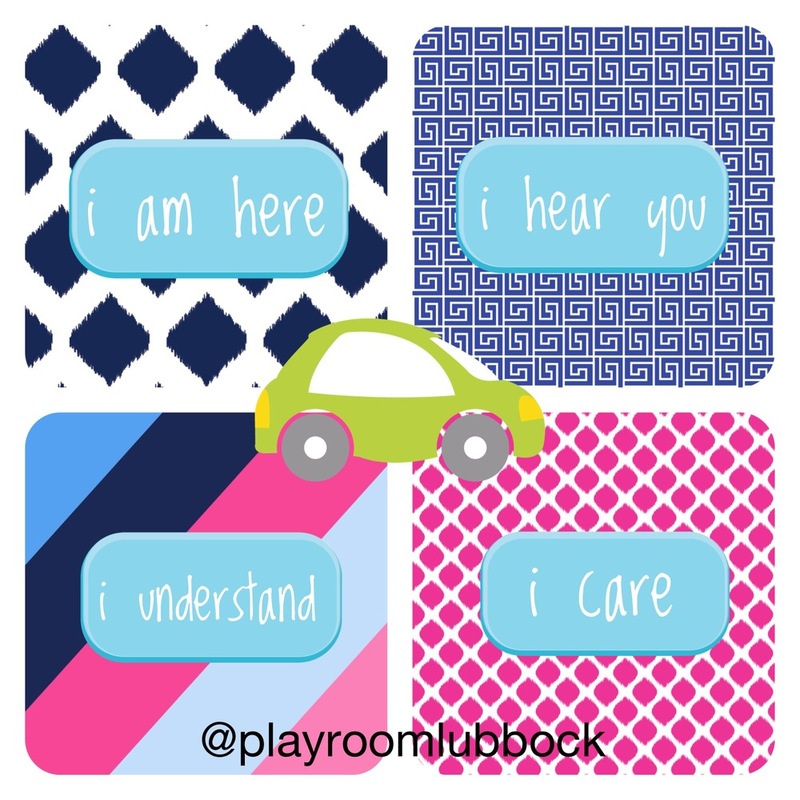 The vehicle of change within the therapeutic relationship relies on these 4 messages conveyed to the child: I am here. I hear you. I understand. I care. The ideal question for parents is "Who is the ideal helping professional for my child?" Parents should create a checklist of concerns and questions to ask such as: "What's the therapist's background or training working with children? How often do you meet with parents? How long do children stay in therapy? What can this therapy do for my child?" Partnering with a therapist or counselor is ideal. Parents know their child best, and the more information parents can gather and communicate, the better. Therapy for your child is not only a financial investment (of research and evidence based practices), but more importantly, an emotional and quality of life investment for both the parents and child. Therapy requires a parent's commitment to maintain appointments, to partner with the therapist, and to be open to change and to where the child steers the direction of therapy. As I mentioned before, our "ideal client" will be different depending on the service. We provide continuing education for professionals and training for parents. We will also speak to groups of kids, adults, educators, or community professionals. In the near future we will be expanding our therapy services to include speech, occupational, music, or art therapies which all address specific needs and all have their own "ideal clients." Here at the Playroom Lubbock we have 2 Play Therapy rooms for using in child counseling or child play therapy. These playrooms, at first glance, may seem like a kid friendly room with toys, however, the play therapist's selection and placement of toys is deliberate and based upon sound rationale. We have thoughtfully selected the toys of our playrooms so that children will feel a sense of openness and interest rather than caution or hesitancy. The toys and play materials facilitate a wide range of creative, exploratory, and emotional expressions without the expectation of children talking or verbalizing. Mechanical and electronic toys do not allow for children's expressions and therefore are not included in our playrooms. We want toys to support these essentials of play therapy as cited in Play Therapy: The Art of the Relationship by Garry Landreth. The three main categories of toys in our playrooms include real life toys, aggressive-release toys, and toys for creative expression and emotional release. Below are pictures of our play therapy playroom for children ages 3-10. Soon we will give you a peak into our playroom for older kids and teenagers. You probably know of or will know of a child or a family who is going through a tough circumstance or has concerns with a child's behavior, development, or emotions. It is so comforting to have first hand knowledge of a trusted community resource. We are EXCITED about a one of a kind therapy practice that focuses on childhood mental health and parent/child relationships. We are EXCITED for you to view our one of a kind Play Therapy playrooms, extra therapy rooms, and observation rooms. Kelly Martin, Owner and Licensed Professional Counselor, will be available to share about our current counseling services. We AIM to help meet the emotional, behavioral, mental health, and developmental needs of children and adolescents. We HOPE to collaborate with other contract therapists to provide speech, occupational, music, or art therapy. Share our grand opening date with someone who may be interested. We look forward to opening our doors for you. Join us August 21 at 11:00am for the Lubbock Chamber of Commerce Ribbon Cutting. We will remain open for visitors to tour our building on the 21st from 11:00am-1:00pm. 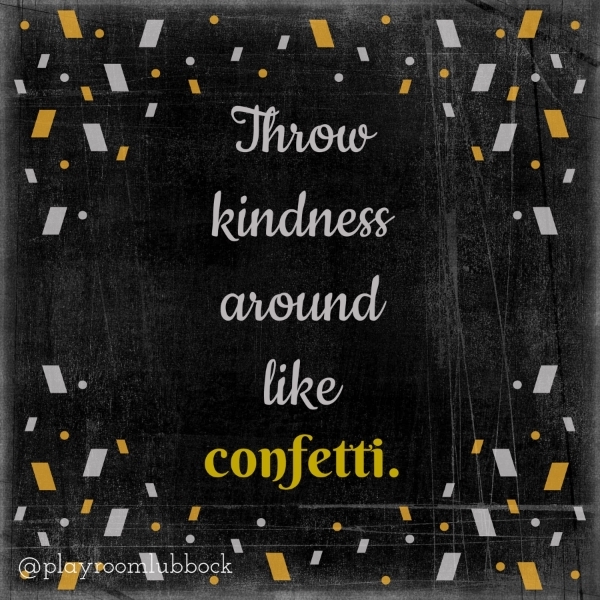 At the Playroom Lubbock we offer individual and group counseling to kids and teens. You've probably heard us talk about play therapy (using toys as a safe medium for expression) and sandtray (using toys/figures in the sand), but what is "expressive arts" that we talk about? Quite simply, expressive arts is an opportunity to use the arts to safely express oneself and through the process, learn by doing. It uses the arts as a basis for discovery and change. The arts can include art materials, dramatic play, acting, music, dancing, or other artful movements. The emphasis is on the process rather than the product. No previous art background is needed. When will expressive arts be used at The Playroom Lubbock? Kids in individual counseling have the opportunity to spontaneously engage in expressive arts because of the assortment of expressive arts materials and toys available to them in the therapy playrooms. The counselor may also incorporate expressive art activities into group counseling or kids groups. How does the creative process produce change? Carl Rogers explains that under certain conditions, a person (child) is free to be creative, to be himself, and be open to a new experience of self awareness and change. — Natalie Rogers in "Giving Life to Carl Rogers Theory of Creativity"
The counselor 1. accepts the child as having unconditional worth 2. listens with empathy and shows understanding of the child through nonverbals and reflective statements 3. provides a non judgmental climate by not making evaluative or critical statements regarding the child or what the child is doing. The counselor trusts the process that the child (with the help of a safe therapeutic relationship) will take his/her experiences, perceptions, and potential where and when the child needs. *However, there are boundaries and limit setting which can be explained in an entirely other blog post. A child's expressive art is an image or metaphor representing a child's perspectives, experiences, desires, fears, and goals. 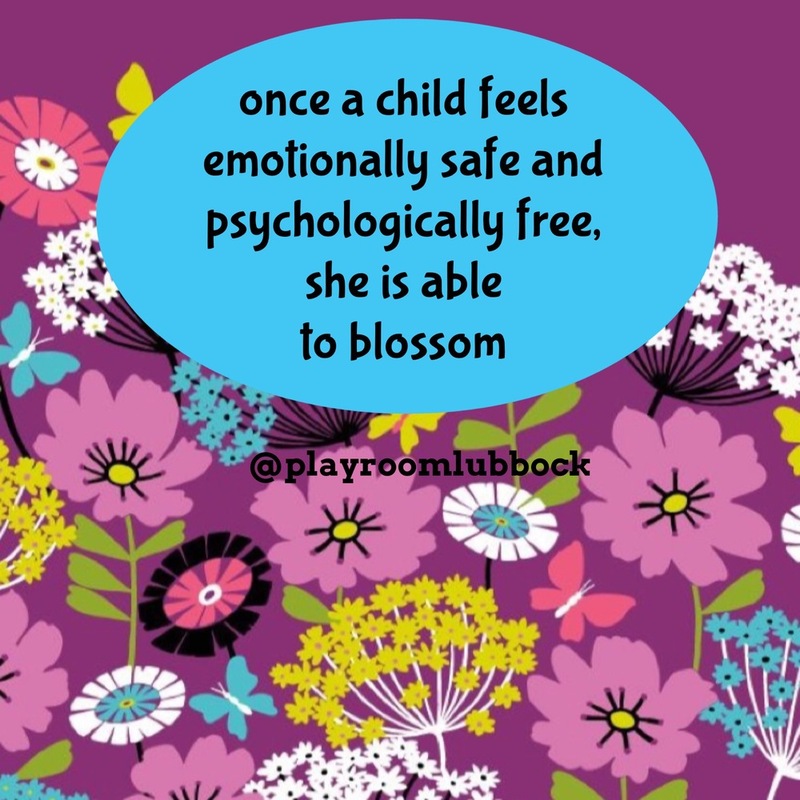 Once a child feels emotionally safe and psychologically free, he is able to blossom. 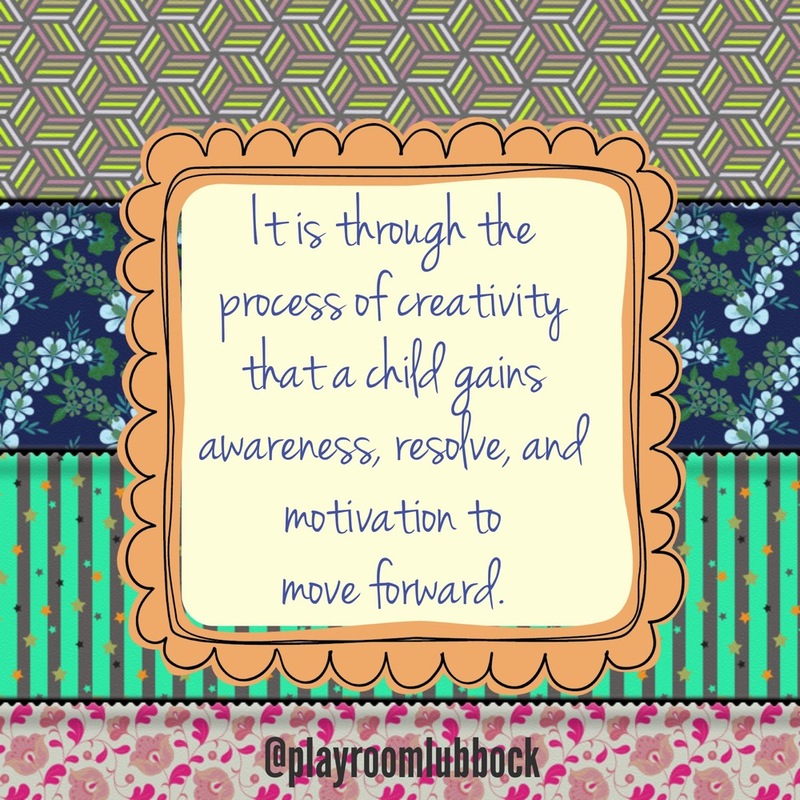 It is through the process of creativity that a child gains awareness, resolve, and ideas to move forward. It is not through a counselor's interpretation or analysis of a child's creative product that brings change. What is the ultimate goal for counseling? You may have very specific goals for your child. For example, control his temper, obey the rules, not be so impulsive, not be anxious, play better with others, learn social skills, etc...Play therapy, expressive arts, and sandtray therapy will address all of those. However, the ultimate life goals for kids (and adults) is to 1. adjust, change, and seek new experiences 2. be yourself in the present moment 3. trust yourself to make the right choices and take responsibility for your choices and 4. treat others with positive regard, respect, and love.